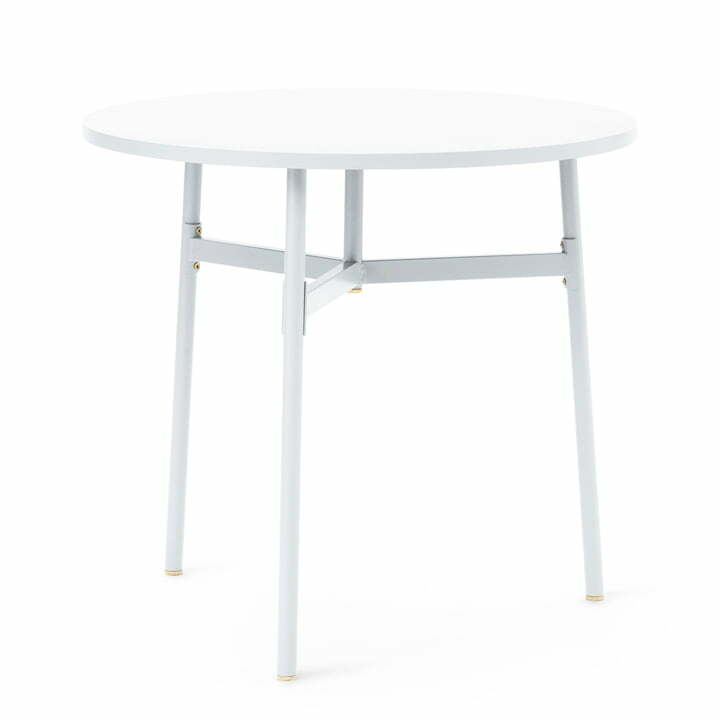 The round dining table by Simon Legald for Normann Copenhagen features a steel base and laminate tabletop with brass details. The minimalist design looks great in the kitchen and dining room and is suitable to sit and chat, eat or work. A dining table brings people together, provides a place to socialise and creates conversations. It is often the focal point of every home. With the aim to create a strong foundation in the living room, Simon Legald created the Union table series, which includes dining tables and high bar tables of various sizes, shapes and colours. The dining table is made up of an airy steel base. 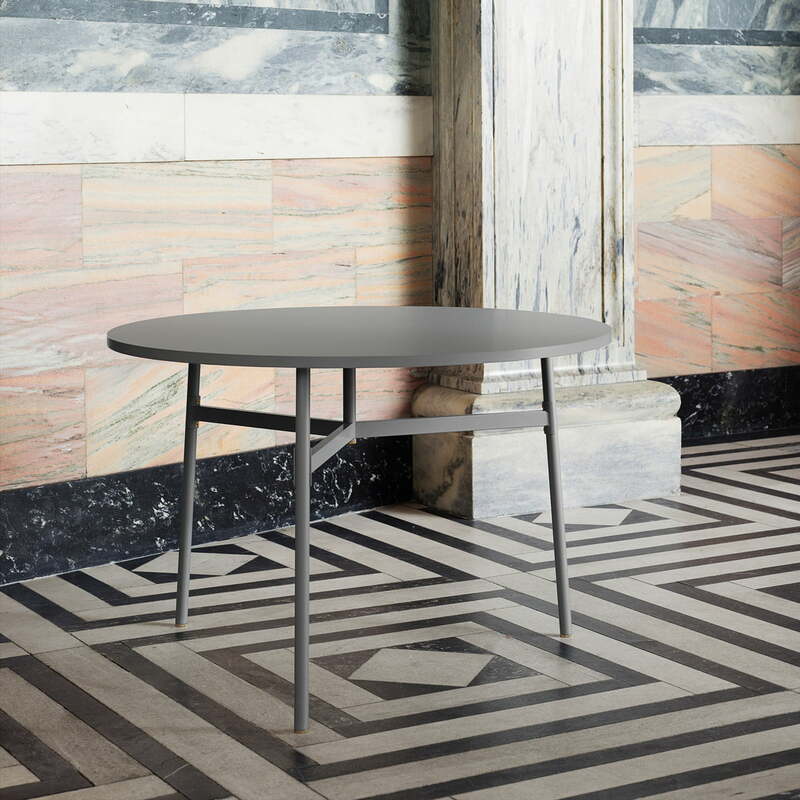 The tabletop is made from scratch-resistant laminate with an anti-fingerprint surface and an ABS edge. The base and tabletop are colour-coordinated. Thanks to its simple appearance, it can be introduced into any style interior. As a nice detail, the table frame is mounted using oversized round brass screws that give the table legs - together with the brass finishing - an elegant expression. 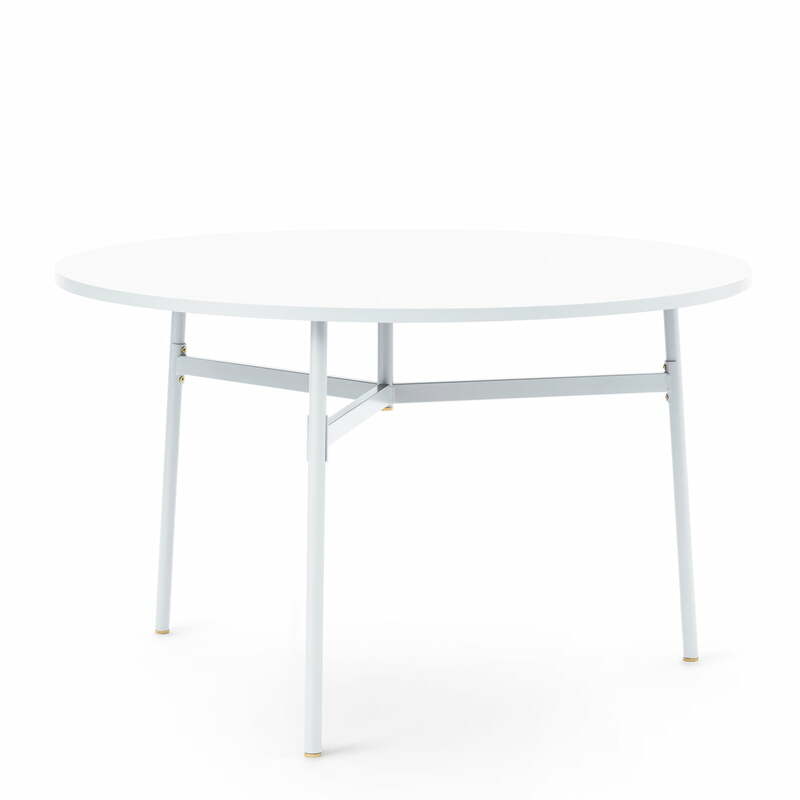 The round dining table by Simon Legald for Normann Copenhagen features a steel base and laminate tabletop with brass details. The minimalist design looks great in the kitchen and dining room and is suitable for to sit and chat, eat or work.